Spark Sessions Conference | ya, we're basic. I am thrilled to finally be back home this weekend as I’ll be attending my first Spark Sessions! 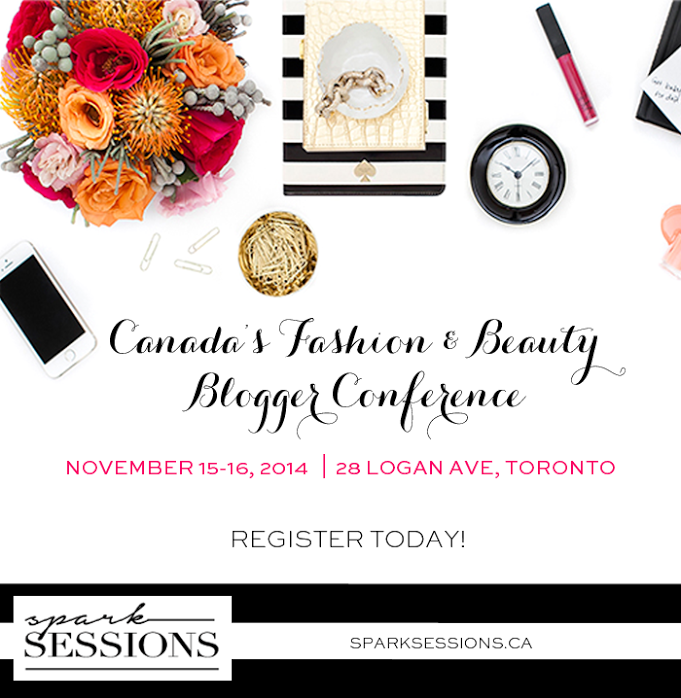 Spark Sessions is Canada’s first fashion and beauty blogger conference, returning this November to conclude a successful second year of blogging education and insight. The conference is being held this Saturday, November 15th and Sunday, November 16th at District 28 and attendees can expect top-notch teaching, insights and networking opportunities with a vast array of high quality online media, blogging and PR speakers. Tickets are still available and you can grab them here. The conference’s dynamic roster of speakers this year include Sara Koonar – Editor-in-Chief of 29 Secrets, Sabrina Maddeaux – Fashion Editor for NOW Magazine, and Kat Peterson – Vice President, Digital, for eLuxe. 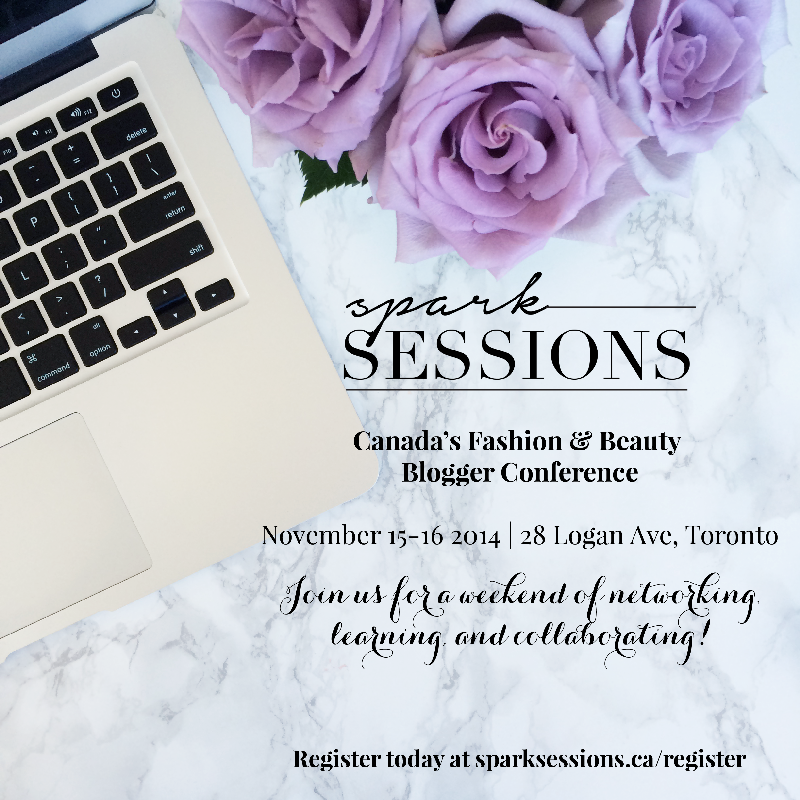 And hello swag, sponsors for this year’s Spark Sessions conference include returning brands such as Benefit, Pure and Simple, and Blossom Lounge, and welcoming Globe Style, Stylist Canada – AOL, OPI, KISS, and Her Collective to the sponsorship group. I am so excited for this weekend especially since I’ve been looking for new ways to refuel some like back into the blog! It should be an amazing weekend with all of my bloggy friends and the speakers should provide some fabulous insight as we head in to the New Year. Let me know if I’ll be seeing you there! So excited to have you there!